Glass man to Ironman: So how broken am I so far?? 1)Right Ankle - Still getting a niggle on the inside of my right foot after running, but now it don't kick in until I go past the 6-7k mark running, suspected PTT but to skint to afford physio to diagnose. Next day after a run I feel OK, not tried to run with a days rest in between just yet, but think I will start after the Dambuster as the 16 week marathon plan I have fits in nicely with the Mablethorpe marathon I hope to run, this ups my running to 3x a week, 1 long run, 1 tempo and a speed session. This "injury" or imbalance somewhere on my body is also having a knock on effect in my swimming, the coach pointed out during the swimming analysis that my right foot is just trailing in the water and swinging out when my left hand enters the water to catch. if you look at the two pics here you can see i am "scissor kicking" when my left hand enters, but on my right...no feet to be seen! 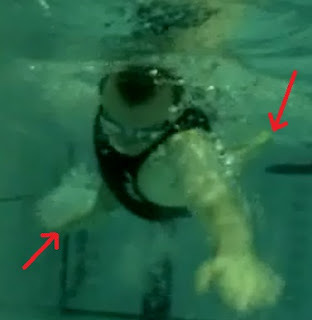 having watch the video over and over I think this is whats slowing me down in the pool, hopefully ill be able to get the drills done and sort this nasty habit out :-). 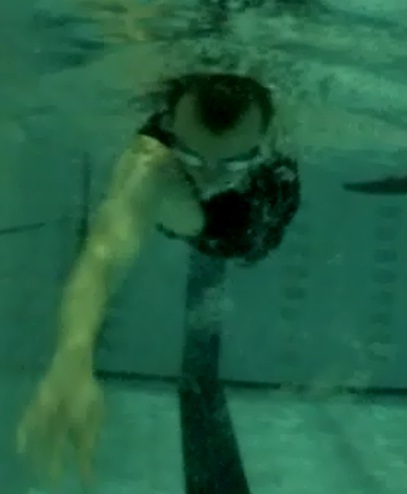 2) Right Elbow - Slight case of "golfers/tennis elbow" which has come about with the increase swimming sessions I have been doing, most noticeable when I flip from freestyle to breast stroke, starts playing up when I do breast stroke so there is my push to sack this stroke off soon as I can hit 1500m! On another note looking at the swimming analysis I had done I really need to get the drills done, so going to speak to the pool an see if i can use my fins when the pool is empty or near abouts, got to get my elbow high and no swinging around like im in a boxing match. 3)Stomach cramps after long runs - Soon as I finish a run I get stomach pains that just don't go away for the rest of the evening, Ive tried running on a light stomach and made sure Ive had a good breakfast for my lunch time runs but nothing is stopping them, come the evening times im spend on the loo with the squits...so researching this now as come race day, I don't want any of this stopping me running.